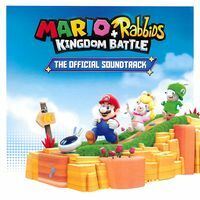 Mario + Rabbids Kingdom Battle: The Official Soundtrack is the official soundtrack of the Nintendo Switch game Mario + Rabbids Kingdom Battle that came with the collector's edition of the game. 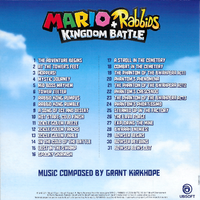 It has a total of thirty-one songs taken from the game with music by Grant Kirkhope. This page was last edited on December 28, 2018, at 15:08.